[Update: OxygenOS 5.1.5] OnePlus 6 Getting First Update With Support For Slow Motion Videos, Option For Hiding The Notch & More - AndroGuider | One Stop For The Techy You! 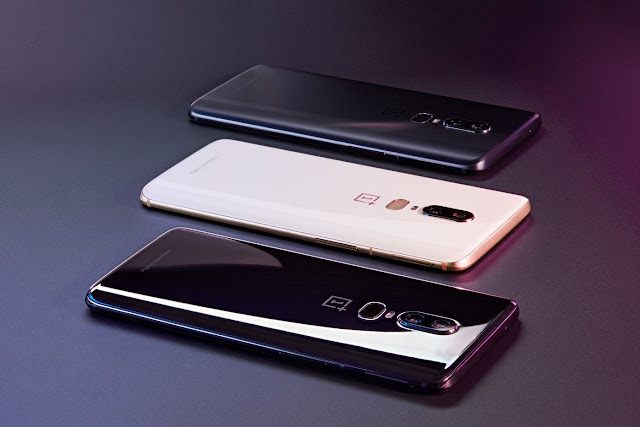 The OnePlus 6 was announced last week, and now the smartphone is getting its first update via OxygenOS 5.1.3. This update comprises of the May security patch, an option for hiding the notch, OnePlus Switch application for transferring data from an old phone, and support for more actions for recently deleted items in the gallery application. The OnePlus 6 supports slow motion recording in HD and Full HD resolutions. At 720p, the slow-motion video is captured at a frame rate of 480fps, and at 1080p, the frame rate is halved to 240fps. Apparently, the OP6 didn't have support for slow motion video recording out of the box, and this update enables it. In addition, this update also enables the quick capture mode for taking portrait shots. In the launch presentation of the OP6, OnePlus co-founder Carl Pei stated that users won't have to wait for the portraits to be processed. Quick Capture will process the portrait shots instantly and users will be able to view the portraits right after snapping them. Here's the changelog for OxygenOS 5.1.3. OnePlus is yet to publish a thread on its forums for the update. The users on OnePlus forums have posted links for the OTA and full ROM files. We have provided the same below. New OP6 owners should get this update immediately after the first boot, and others can expect to soon see a notification for OxygenOS 5.1.3. The full ROM can be flashed through the recovery mode (both stock recovery and TWRP will work). The OTA ZIP can also be flashed in recovery, but it should only be flashed over OxygenOS 5.1.0. The full ROM will not wipe the data partition. OnePlus is now rolling out OxygenOS 5.1.5 instead. We received a tip from a reader who claimed that he got the 5.1.5 update over 5.1.0. As can be seen in the screenshot above, the changelog mentions 'General bug fixes and stability improvements', and of course, all the features listed in the changelog of OOS 5.1.3 are present in 5.1.5. The OTA update might take awhile to show up, or you can download it manually from Settings > System updates. The OTA and full ROM ZIPs are also given below.